You want to make sure your wood furniture lasts for years, but that requires a bit of care to protect it from the stresses of daily use. 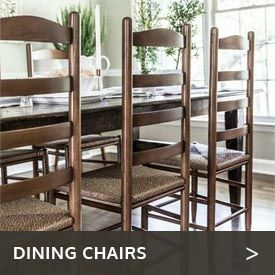 Whether you’re looking for a way to preserve the natural oils in your teak furniture or a stain to make all of your wood furniture pieces match one another, you’ll find all the essential outdoor furniture care products and wood stains at CedarwoodFurniture.com. 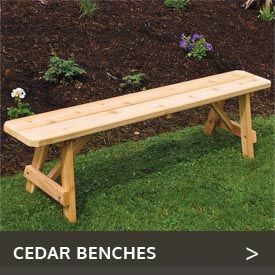 Adams All Natural Cedar carries products for cedar wood cleaning and cedar furniture care that will keep your cedar outdoor furniture looking great and will help extend its life. We also have products designed for other types of wood, such as teak. You can use our all-natural soy-based stain, sealer and cleaner by Natural-Kote with any product we sell on our site. This versatile product offers many other uses too. Because of their nontoxic nature, these products are safe to use around children and pets. With stain and sealer, they are the perfect products to use on natural wood items. They replicate the healing nature of the natural oils and saps in natural wood products. 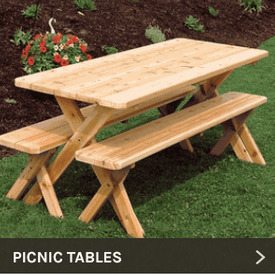 Besides being safe, these products are also easy to use, making cedar outdoor furniture care and other tasks a breeze. As you would expect, our cedar wood care products are ideal for helping to preserve and beautify wood furniture, outdoor furniture and wood decks. But they are also a smart idea for extending the life and looks of log homes, stucco and wood bridges. You can even use the innovative products on these pages on concrete, masonry and natural stone as well as for many more applications.